With the World Cup fully underway, former champions Germany kicked off the inaugural Group F match against Mexico on Sunday. 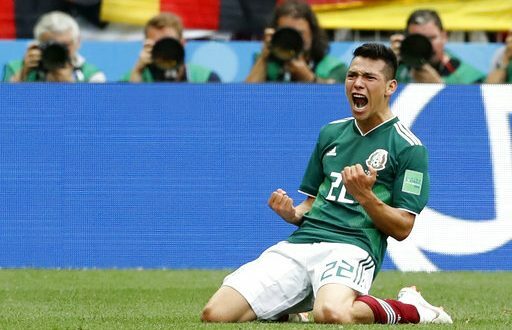 Many saw Die Mannschaft as the favorites to repeat, but thanks to a disorganized performance against El Tri, the Germans fell to the Mexicans for the first time since 1985, then playing as West Germany. Mexico’s game plan was clear from the beginning: Absorb the lethal German attack, then hit them on the counter. In the end, it paid off. In the 35th minute, Germany lost the ball deep in Mexican territory. Four passes later, El Tri was on top. The ball was played up to Striker Javier “Chicharito” Hernandez, who started a one-two with midfielder Andrés Guardado. Guardado returned it to Hernandez with a perfectly weighted through ball that took German defender Mats Hummels completely out of the play. With the other German central defender, Jérôme Boateng, closing him down, Hernandez played the ball to his left to Hirving “Chucky” Lozano. The 22-year-old PSV winger chopped the ball onto his right foot and past maestro Mesut Özil, then slotted it past Manuel Neuer at his near post to give Mexico the lead. After taking the lead, Juan Carlos Osorio’s side stuck with their game plan. Afterall, it had worked in the first half. However, the German machine began to tick in the second. Germany coach Joachim Löw made two drastic offensive switches in an attempt to bring the Germans level. The first came in the 60′, with defensive midfielder Sami Khedira coming off for prolific winger Marco Reus. Next, striker Mario Gomez came on for left-back Marvin Plattenhardt. However, as the Germans got forward and continued to create chances, the Mexicans continued to put their bodies on the line to block shots, win the ball and counter. While the stats are heavily skewed in favor of the Germans, they do not tell the whole story. Germany edged Mexico in possession with 69 percent to 31, which is expected given El Tri’s game plan. The most noticeable stat is the differential in the number of shots. Germany registered 25 shots, nine of which were on target. Mexico only took 12 shots, with four challenging Neuer in goal. Despite the stats, Mexico played their game plan to perfection and got the 1-0 win. However, if they were more efficient on the counter, they could’ve extended their lead on a few different occasions. Mexico has their back line and goalkeeper Guillermo Ochoa to thank for keeping a clean sheet. Ochoa made a total of nine saves on Sunday, setting the record for the 2018 tournament thus far. Ochoa was Mexico’s standout player in 2014 and continues to show his quality for the national team on the biggest of stages. Monday’s match up was a different story. Except for Tottenham’s Son Heung-min, South Korea are short on serious goal-scoring threats. This proved to be a problem against Sweden. The Swedes were able to completely shut the South Korean attack down. South Korea finished with a total of five shots, with none landing on target. Sweden, in contrast, had 15 shots, but only four challenged the goal. The difference-maker came in the 65′ from the penalty spot. Thanks to the Video Assistant Referee (VAR), Sweden were awarded the penalty after the referee did not originally stop the play after the foul. VAR gets it right again. Penalty decision spot on. Sweden lead. Well played. Swedish captain Andreas Granqvist sent the keeper the wrong way to give the Sweden the lead, and ultimately, the win. Matchday 2 will take place this Saturday with South Korea and Mexico kicking things off at 11 a.m., followed by Germany and Sweden at 2 p.m. As things stand, Mexico and Sweden lead the way. 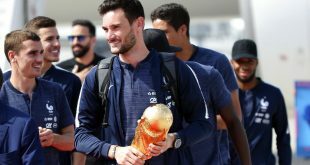 The rest of the Group F matches can be found on Fox Sports.